ESD Plastic Pallets. Order directly from our online shop. 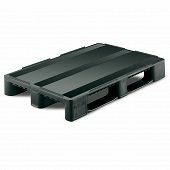 | George Utz Ltd.
All ESD plastic pallets protect your load from electro-static discharge.